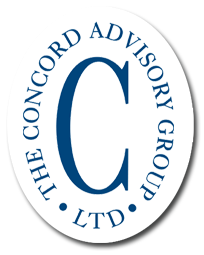 Concord provides strategic advice to institutions that want to improve the results of their investment programs. Our consulting services empower an organization’s internal staff, investment committee and board members to become more efficient. Our consultants help clients navigate the complexities of today’s investment markets. Superior knowledge and experience allows our staff to engineer forward-looking investment strategies. Exceptional investment programs do not happen by accident. They require the fusion of sound governance, strategy and execution. Concord accepts no compensation from financial institutions. The only product we sell is non-conflicted professional advice. Governance is more than a policy statement. Governance is a system of management. Concord's tested leadership provides clients with effective oversight, sound policies and procedures and board best practices. Strategy should focus on the future. Backward-looking strategies are destined to fail. History is important, but there is a big difference between understanding history and chasing history. Concord is forward-looking, balancing client needs with market dynamics. Effective execution of investment strategy is paramount to a successful program. Good structure and strategy are lost without good execution. Institutional structures and committees along with infrequent meetings pose a substantial challenge to good execution. Concord has been helping our clients meet these challenges since 1988.